Thanks to the ability of Android to provide privacy and security on devices, Android OS becomes the world’s most successful mobile operating system. 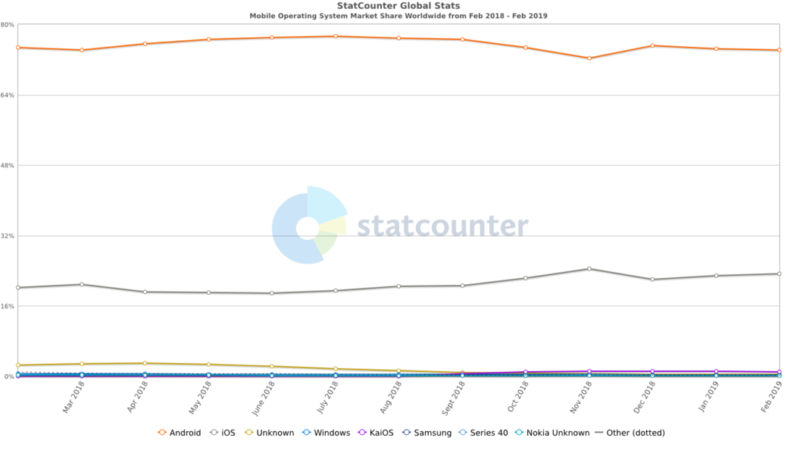 Following graph depicts that market share of the Android operating system against its competitors. And with the launch of the new Android version named Q, it is estimated that the graph of Android’s market share will go much higher. When Android OS version 9 has been launched in August 2018, people appreciated it as Google has added some of the best features like permission control, a smarter battery control, and improved notification. Despite having dominant features, those features have some limitations. To overcome it, Google has recently launched Android 10 or Android Q. This version of the Android OS has improved features which satisfy the more safety and the privacy than the previous version of Android OS. New features of the Android version Q 10 is so diverse that you need to read it for not only making new apps but you need to understand it to prevent your old app from the instability. As we discussed, in Android version 10, they put more emphasis on providing more security but in a convenient way. Thus, they add this feature which lets users confirm high-risk actions in a minimal way. A user just has to confirm his identity through one of the biometric modality like facial recognition, fingerprint and he will not ask to provide any other detail again. In the android app development phase, the developer can add this feature in the app by adding a simple condition. If the action has low risk and a developer do not want user configuration from the user then the developer simply needs to give a false condition on setRequireConfirmation(). Google has added this feature in the Android version Q for the developers. While in the phase of Android app development, if a developer wants to add biometric authentication feature for the app for more security, he must need to check the biometric capacity of the device. To check it, the developer can use canAuthenticate() method. 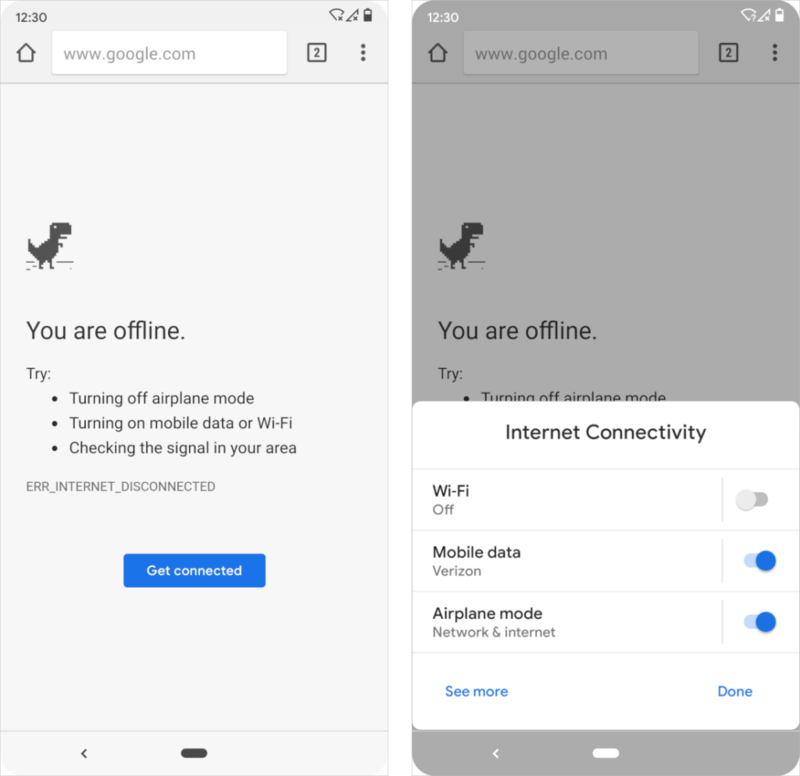 In Android Q, developers get two new updated API classes for establishment capability of fast connection while using Wi-Fi direct. Older AIP classes for Wi-Fi direct wifiP2pCnfig and wifiP2pmanager have been upgraded in Android Q. If you are wondering what is Wi-Fi direct, then in the simple words, it lets two devices to connect with each other without a wireless access point. Monochrome camera API was launched with Android version 9 in 2018. In the android version Q, they relaunched it with some enhancement. It is now more memory efficient and supports monochrome raw DNG images. This is one of the new features of the Android Q, which can be highly used by developers in the Android app development phase of entertainment apps. For example, TikTok is the app which uses the primary camera for videos. Now, with this monochrome support, if TikTok will add this API in the app then users can record videos through that monochrome camera of the smartphone. This is the most innovative and handy feature of the Android Q. Basically, this API allows apps to make setting visible in the apps itself. The major advantage of this feature is, the user doesn’t have to go to the setting to turn on the mobile data and Wi-Fi in order to use the app. If your app is integrated with this feature, users of your app will get the comfort of the next level! A developer can add this feature in your app with the help of Setting. panel API. This API has three actions. » ACTION_INTERNET_CONNECTIVITY which shows the setting of internet connectivity. » ACTION_VOLUME which shows the setting of volumes. This action can be used in audio streaming apps. People love the black colour a lot as it makes anything so elegant. Also, because of the black colour in the UI, a lot of battery consumption can be cut down. Thus, when there was no support of Dark mode in the previous version of the Android, people used to download third-party apps which try to give fake dark effect on the UI. But with Android Q, people’s need for dark mode has been satisfied as Google has introduced OS level dark mode in Android Q. Thus, you also need to make sure that you allow users to change the theme of the app. 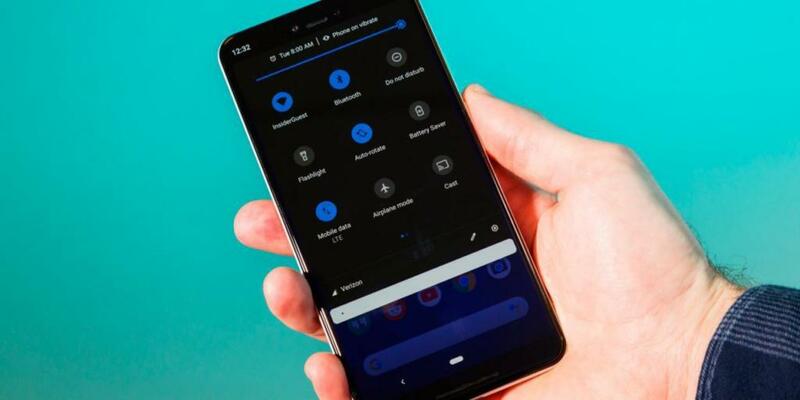 Google has taken a revolutionary step in Android version 9 in order to maintain the privacy and the security of the user’s devices. They have been added a feature of permission control. It allows a user to choose whether a particular app can use the camera, internal storage, GPS, and call log or not. In Android Q, Google has improved the permission control. Now user can give permission to an app for a specific time. Also, now user can able to share access of only gallery, not whole internal storage. Thus, the app developer has to do Android app development by keeping this very important privacy features in the mind. Design of smartphone is changing, and with that change, a challenge to fit app in different displays emerges. Recently, so many companies have launched foldable phones and so, Google has added ResizableActivity feature in its new Android version Q for app developers. With this API, app developers can do Android app development in such a way that app can be displayed properly on the foldable phones. Before understanding this feature of Android Q, let’s first understand what is web view. So basically, web view allows developers to show the content of the web on the app. Google has launched a new abstract class WebViewRenderClient in Android Q. By using this class, apps can detect if there is any unresponsive WebView. A very unexpected feature of Android 10 Q which affect your old app too. This is the very unexpected feature which has been introduced by Google in Android version 10. It identifies the code of your app and if you haven’t updated your code of app with the Android 10, then it shows the message to the users. By doing this, Google wants only an updated app in its play store. Thus, it becomes very crucial for you to update your app on Android Q as if it shows that your app is unstable then you will lose a large number of your users. Coruscate Solution is the early player in the market of Android 10 Q based android app development. Android Q has so many new features of security and privacy which help app owners to attract more users. If your future app has all the Compatibility of Android Q Features, then it will be very obvious that you will earn a lot as people prefer your app to be more secure and compatible with latest OS version features. With all these our research we can make sure that your Android app plays well in the store and satisfy your users more, so make sure you hire one of the finest Android app development company like coruscate solution for your Android app idea. » Our company has a team of developers who have already understood and practised on Android Q APIs. » We will look after all the pivotal features of Android Q and deliver the next generation app. 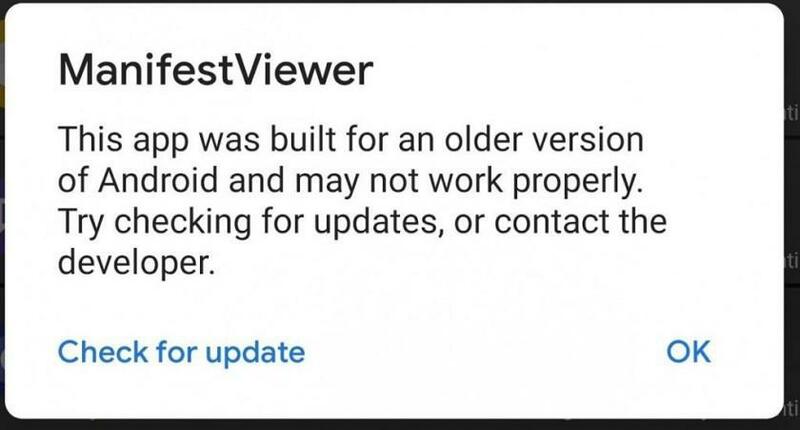 » Also, we are clever enough to update your old app into a newer version of Android Q.